Throughout the day, we throw on our sunglasses and don’t think too much about them. But photochromic sunglasses actually provide all sorts of advantages. Photochromic lenses are optical lenses that darken on exposure to specific types of light intensity, most commonly ultraviolet (UV) radiation. These lenses made be constructed of glass, polycarbonate, and other forms of plastic. They are primarily used in eyeglasses that are dark in bright sunlight and clear in low ambient light conditions. Photochromic glasses were created and developed by Roger Araujo at the Corning Glass Works Inc. during the 1960s. The process was used in the first mass-produced variable tint lens shortly after. Provide daily protection against harmful UV rays — The sun’s rays are strongest between 10a.m. and 2p.m. each day, so wearing polarized lenses during this period is imperative for UV protection. These shades can absorb 100% of UBA and UVB rays. They are fashionable and available in all kinds of different styles — Not only do photochromic shades protect from dangerous UV rays, but they can look visually appealing, as well. These shades are available in different colors, shapes, and designs to suit anyone’s needs. Additionally, depending on the light intensity, the shades can change colors. They are quite comfortable — Photochromic sunglass lenses fit perfectly on all head shapes and provide even greater comfort since they reduce eyestrain and glare in the sun. They are versatile and can adapt — These shades can adapt to just about any environment. Whether you’re wearing them indoors, outside, or in areas with high or low brightness, they will adapt and adjust accordingly. Thanks to innovative lenses technology, the newer generation of shades have the ability to change color faster than ever before, as well. 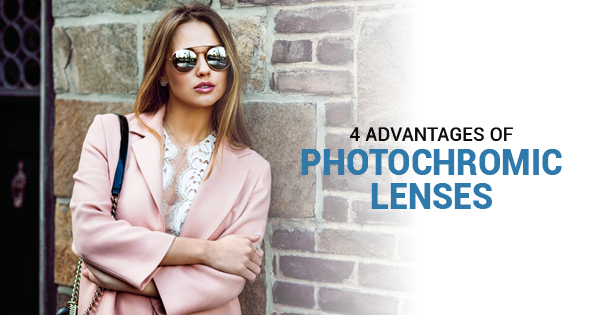 These glasses don’t just look great, they clearly offer plenty of advantages, as well. If you want to learn more about photochromic lenses and find some quality polarized replacement lenses, give Galaxy Lense a call today.